Son Doong Cave is located in the heart of the Phong Nha Ke Bang National Park in Quang Binh province of Central Vietnam. Only recently explored in 2009-2010 by the British Cave Research Association, Son Doong Cave has only been open to the public since 2013. 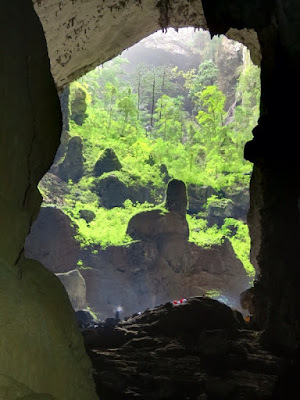 Any individual or organization visiting Son Doong without the allowance of the management board of Phong Nha Ke Bang National Park is seen to violate the law. Thus, you can join the adventure tour with the travel company having the right. It is the best way. 10. What about other attractions beside Son Doong? During the waiting time for taking part in tours to Son Doong Cave, you can choose other tours such as Phong Nha Ke Bang tours to caves of Tu Lan, Swallow Cave, Paradise Cave, and Phong Nha Cave. Phong Nha Ke Bang National Park has many interesting services for tourists to enjoy Vietnam holidays in this national park.